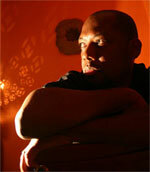 Keithley Woolward teaches francophone Caribbean literary and cultural studies at the College of The Bahamas. Dr. Woolward is working on a book which develops a critical discourse around Frantz Fanon and the theater where theater is a determinative influence on his treatment of race and politics. 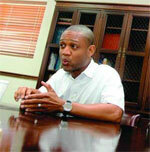 In addition to his academic work Dr. Woolward is active in the arts and culture culture community in the Bahamas. Straddling visual and performance cultures his recent photographic installation and performance “Haitianize” at the National Art Gallery of the Bahamas offers a way of think about human existence and as a phenomenon of both exchange and transformation. Dr. Woolward envisions an afterlife to the installation piece, moving it from the national art gallery to other spaces and communities within and beyond the Bahamas. Anita M. Waters is Professor of Sociology/Anthropology and Black Studies at Denison University in Ohio and has published work in the field of political culture in Jamaica and Cuba. She has been a member of CSA for more than 25 years.